One of the main inspirers of school legislation of the third republic, Ferdinand Buisson was a French politician in favour of laity, co-founder and president of the Human Rights League, and Nobel Peace Prize winner. He wished for the removal of religious education from the primary school syllabus, and its replacement by the history of mankind. As soon as the third republic was instituted in France, he came back. He took part in social activities and became head of an orphanage in the 17th arrondissement in Paris, the first lay orphanage. He was appointed in 1871 as Inspector of Primary Education in Paris by Jules Simon, Thiers’ Ministre de l’Instruction Publique (Minister for Education). However, as a result of fierce attacks from Mgr Dupanloup, his appointment is cancelled. But Jules Ferry was to appoint him as Inspector General of Public Education and, in 1879, as Director of Primary Education. One of Jules Ferry’s closest and most trustworthy friends, he drafted « all the decrees, all the regulations, all the circulars »of this reform (tous les projets de lois, tous les règlements, toutes les circulaires). He founded the Revue Pédagogique (Review of Pedagogy), the Musée Pédagogique, and succeeded in having the Ecoles Normales Supérieures created in Saint-Cloud and Fontenay-aux-Roses. Their mission at the time was to train the primary schoolteachers attending the Teachers’ Training Colleges. He edited and oversaw the publication of the bulky Dictionnaire de Pédagogie et d’instruction primaire (Dictionary of education and primary-school teaching) in which the following quotation is to be found : « today, most educational principles put forward by Protestants have become the property of civilised peoples » (aujourd’hui la plupart des principes pédagogiques proclamés par les protestants sont devenus comme la propriété des peuples civilisés). In 1896 he was called the chair of Education at the Sorbonne. 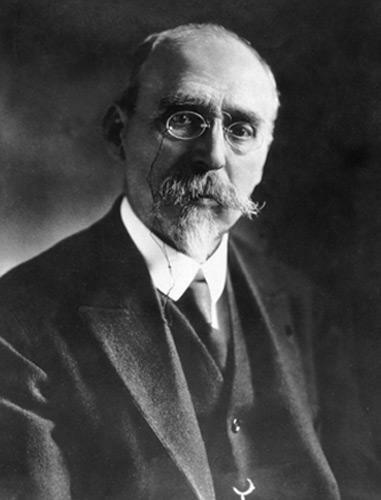 From the very beginning he upheld Dreyfus ; in 1898 he helped to found the League of Human Rights in France and was its president from 1913 to 1926. His political career as député of the radical- socialist party lasted from 1902 to 1919. He was a pacifist and took part in the Congress of the International League for Peace whose aim was the creation of the United States of Europe ; from its beginnings he upheld the League of Nations and worked for the reconciliation between France and Germany, especially after the occupation of the Ruhr region in 1923. He invited German pacifists to Paris and himself travelled to Berlin. In 1927 he was awarded the Nobel Peace Prize and gave the proceeds to his “adopted sons”, the primary schoolteachers of France, so that they might work on the rapprochement between the peoples through educating children.